The Mini Cooper and the 1960’s say it all. The Beetles, the Royal family, Film Stars, no one could be seen without this all time classic. 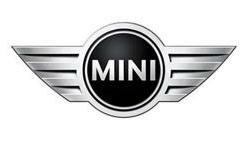 The Mini is back and our Mini Rental service in Marbella gives you immediate access to one the car industry’s legends. Combined with a personalised service that is second to none and delivery and retrieval from the location of your choice, you ony have to concentrate on enjoying what the Mini is all about… Fun! Originally designed for the masses by Alec Issigonis in 1959 the Mini was an instant success as a small, lightweight yet spacious car. But it was in 1961 that this success was taken to another level when John Cooper convinced BMC to produce fast minis. Success upon success came in both racing and rally. Motorsport is part of parcel of the Mini’s Heritage. Who can forget the 3 minis in the all time classic film ‘The Italian Job’? With their purchase of the Mini, BMW have brought the legend back and its racing heritage. A Mini is perfect for Marbella. A cruise around Puerto Banus with enough space for 4 comfortably in the car. If you want to park on the front row, why not, you are not taking up too much space and you are making the scene complete. Or take the Mini GP limited onto the Motorway from Marbella to Malaga and experience the power of 214 Bhp in a super lightweight car. 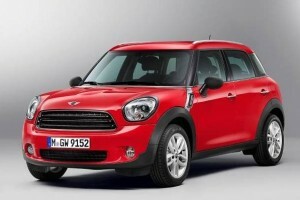 At Blue Sky Luxury Car Hire, our Mini rental service in Marbella gives you the choice. You are backed by the experience of specialists and don’t forget our car rental rates are just as competitive as our cars.